Musical Fidelity has a long heritage of designing exceptional turntables and the Roundtable S is no exception. 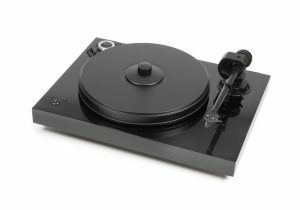 Musical Fidelity’s first turntable, the M1, was made in 2003. It was engineered to a very high standard. It was well received in the press. Musical Fidelity’s latest Roundtable S is a new venture into the world of turntables. This is a high quality competitively priced complete solution. It has a high quality low resonance 9” pickup arm (magnetic anti-skating) with steel tipped vertical bearings housed in zirconium with rubber damping, not dissimilar in principle to the Incabloc shock protection system on watches. The horizontal bearings are ABEC7 ball bearings. It is fitted with an Ortofon 2M Red cartridge. A dustcover is optionally available. Musical Fidelity has a long heritage of designing exceptional turntables and the Round-table S is no exception. Top spec components include: a polished high carbon tool steel bearing – for an exceptional long life and friction free performance – an extremely inert chassis and suspension system and a very high quality pick up arm, usually used on products several price categories higher. The platter is made from finely machined high density MDF and has high mass and low resonance. The plinth is made from similar bulky low resonance material. The feet are also part of the isolation system. 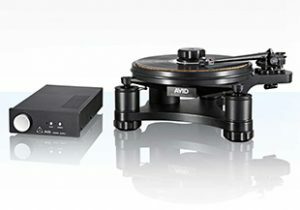 The Roundtable S offers a stable low resonance platform for vinyl disc playing. The very high quality pickup arm is matched with a well regarded cartridge which complements the arm’s characteristics exceptionally well. 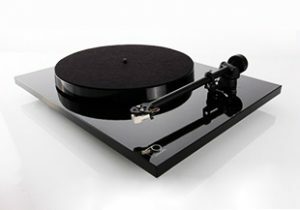 The turntable system itself has excellent isolation properties, low resonance, high stability and consistency. The motor, belt and main platter bearing are all selected for complimentary characteristics.